The device contains two different sizes of lipo laser paddles, so there are two different wavelengths. 650 nm & 980 nm are left and right in different parts of the body. At the same time, the instrument is controlled by the touch screen, which makes the operation of the device more convenient. The working status of all functions can be displayed on the screen. 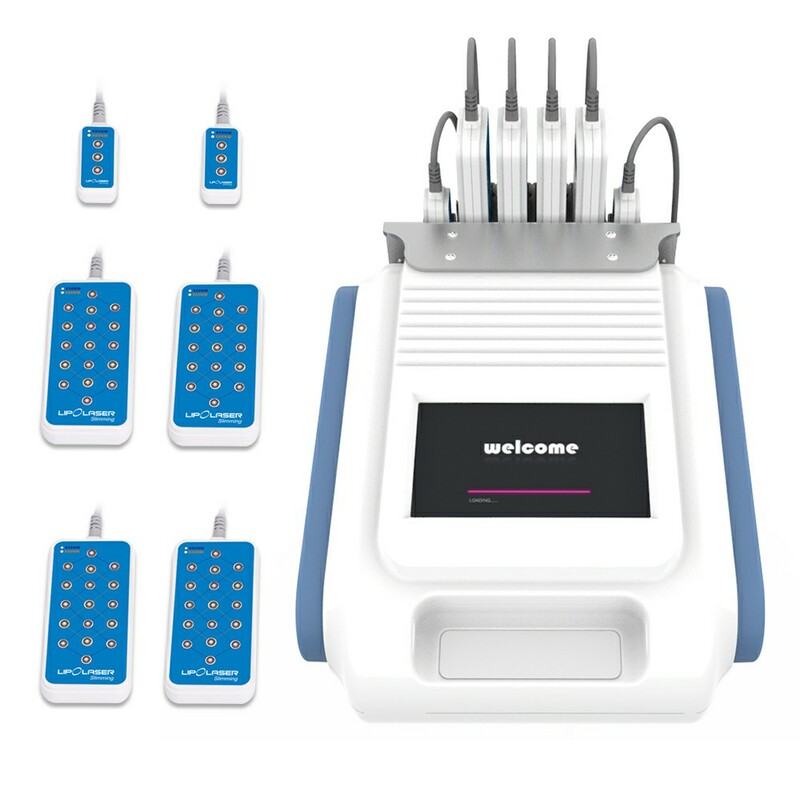 Wave 650 nm accelerates blood circulation, and wave 980 nm goes deep into the skin tissues. Lipo laser is a relatively advanced fat weight loss technology. It is deep into the body fat part through the laser, and then burns by heating the fat. After heating, the fat comes out of the cell, and then through the body's metabolism, the fat that flows out of the cell is diluted. Drop, so as to achieve the effect of weight loss. This technique does not cause any side effects to the human body.